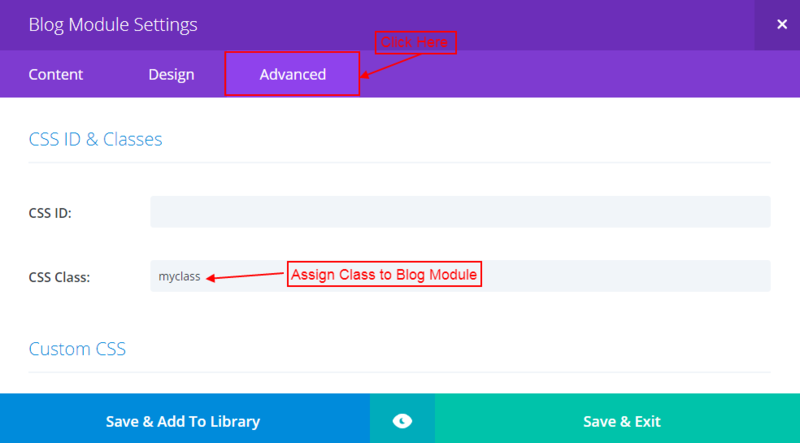 Firstly we need to assign CSS Class to the “Blog Module” as shown in the below image. Here we can assign CSS Class as “myclass” or you can also assign according to your need. Now we need to add the given script code to Divi >> Theme Options >> Integration >> Add Code to the <head> of your blog. Please don’t forget to replace “View Full Post” with your desired text for the button in the above script code. Is it possible to have different button texts for different posts? Maybe a target by tag or category rather than targeting the CSS class of the module. Works great. How can I modify this code, so that when I click on the button again, it switches back to the original text? I want it to function as a Read More/Read Less button.